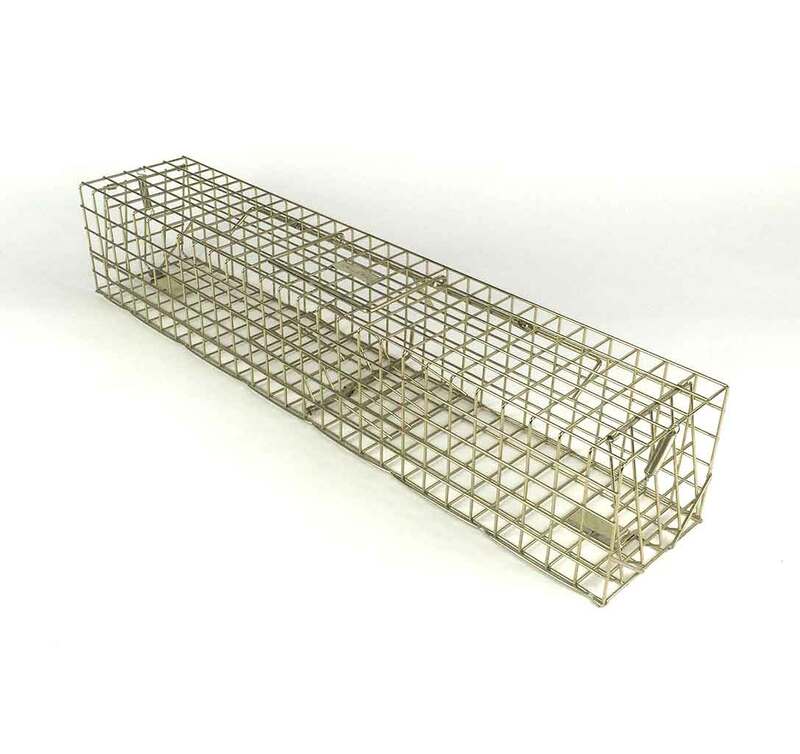 This trap man run through grey squirrel trap requires no baiting, the run through design relies on the grey squirrel to enter the tunnel trap during its normal hunt for food. 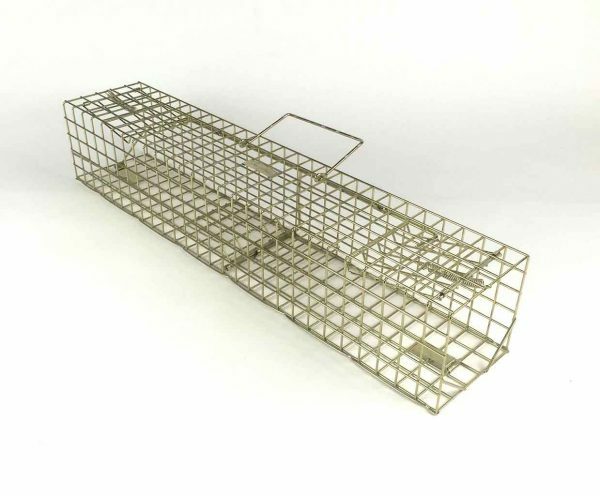 The grey squirrel simply steps onto the central treadle plate that triggers both doors to spring shut. Grey squirrel run through traps are particular effective for grey squirrel as they can be placed on fence or wall tops.